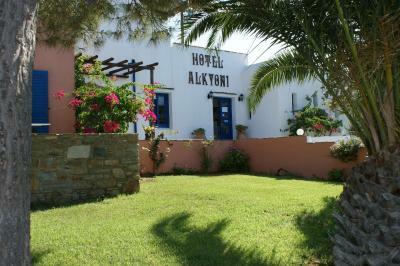 Lock in a great price for Alkyoni Beach Hotel – rated 8.8 by recent guests! The hotel is next to the beach and has beautiful sunsets. The hotel rooms are also cutely decorated. Zoe at the front desk was amazing!! Super helpful with hints and recommendations. The location is perfect! 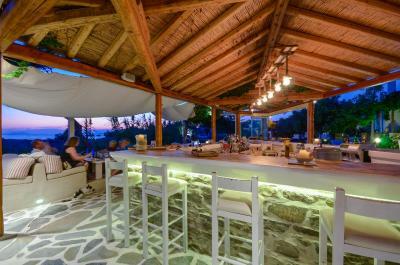 Not too close to downtown Naxos so you still have the beach vibe, but close enough to walk too. The bus stop is right down the street to get to more beaches down the coast. There is also a close grocery store that has everything you forgot to pack or need. 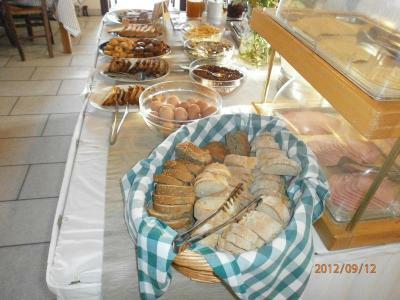 The free breakfast in the morning was delicious. Not just toast and coffee, but a lot to choose from. The hotel room was great too. Two balconies to lounge about and a awesome breeze at night. Just a great experience overall. Would love to stay here again! 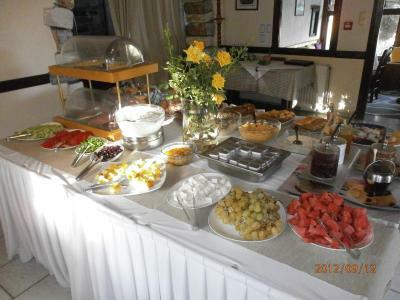 Great location, educated guests, kind staff, clean and ideal for families. 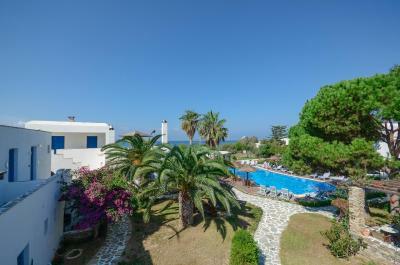 Nice and big swimming pool, close to the beach and walking distance from the center. The property was beautiful. Great pool. Great bar. 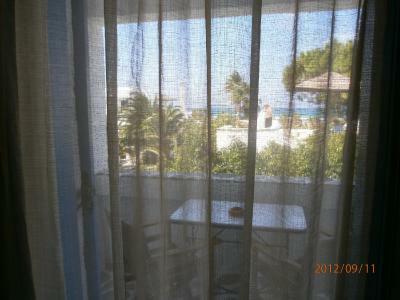 Easy walking distance to beach, other restaurants and town. LOVE that they have a library as you walk in. Had we stayed more than one night, totally would have taken advantage of the book selection. 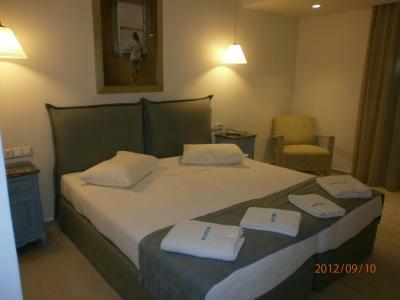 Our room was beautifully renovated, clean and very comfortable. 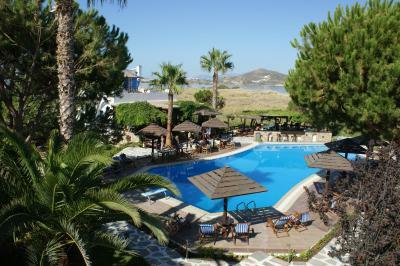 We enjoyed the pool, the bar and the nice walk along the fine sandy beach into town. The included breakfast that was quiet delicious! The staff was also very helpful and friendly! 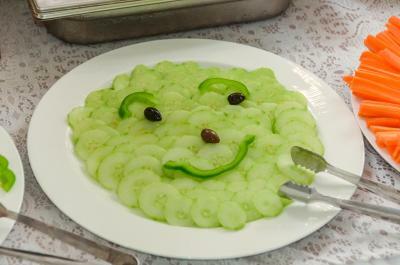 Warm, welcoming hotel staff — always kind and accommodating. Surprisingly good restaurant for lunch or dinner if one wishes to stay on the property. The lovely lady who checked me in was great!! My room was so charming! The restaurant was excellent! So besutiful!! The hotel staff was very nice. They upgraded our room on our honeymoon, and had a bottle of wine waiting for us. It was greek night the night we arrived and they had live music and delicious food. 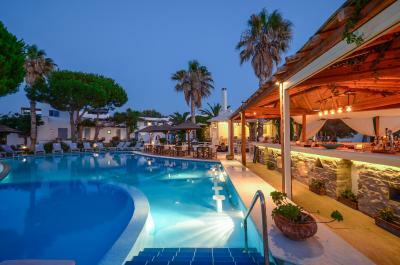 The property was also just a short walk from the beach, and had a poolside bar. 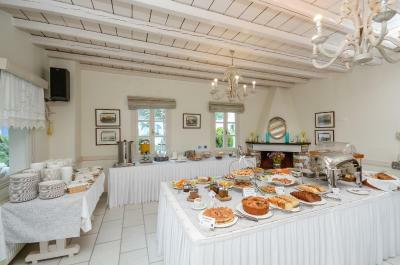 The best breakfast anywhere we stayed. 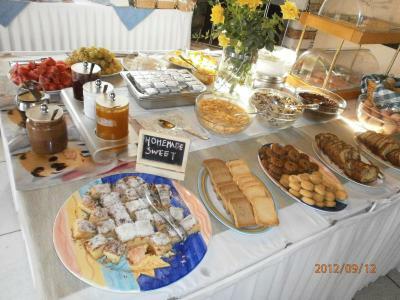 They were very generous and had a nice variety of breakfast foods. 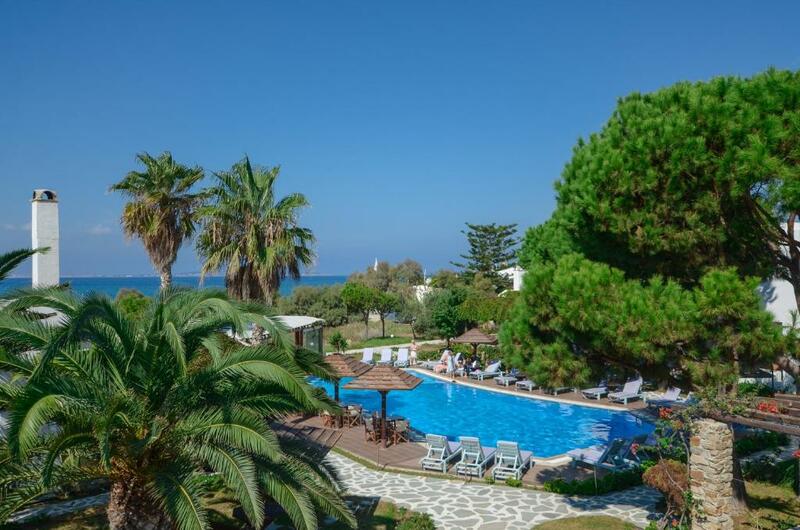 Alkyoni Beach Hotel This rating is a reflection of how the property compares to the industry standard when it comes to price, facilities and services available. It's based on a self-evaluation by the property. Use this rating to help choose your stay! 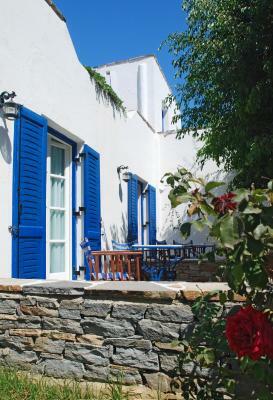 One of our top picks in Naxos Chora.The Alkyoni Beach Hotel is a beautiful resort boasting traditional Cycladic architecture and favorably located on St. George’s Beach and only a 10-minute walk from Naxos Town. 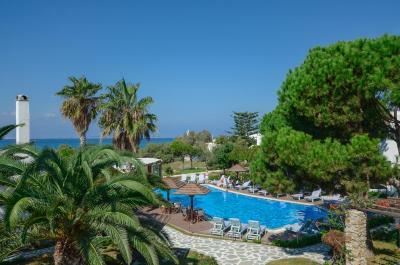 The rooms of Alkyoni Beach Hotel are bright and airy. 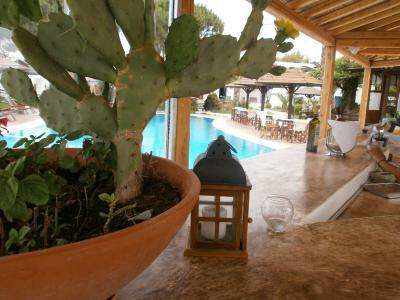 Most of them have sea views, while the rest look out on to the gardens or the pool. 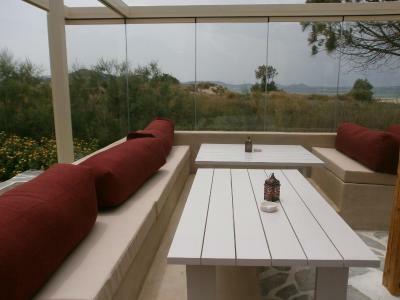 They all come with air conditioning, fridge, satellite TV and private balcony or terrace. 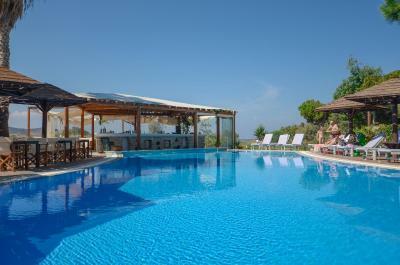 Enjoy a refreshing dip in the pool and soak up the atmosphere around it. Take a relaxing walk in the lush, beautifully maintained grounds on the way to the beach. Use the free Wi-Fi access to check your emails and surf the internet. Ask at the reception for advice when planning events and trips. 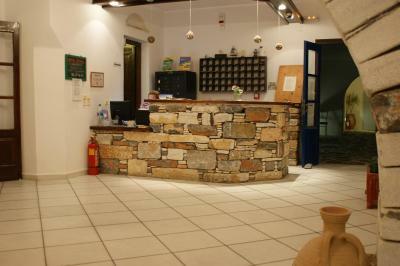 Hotel Alkyoni Beach also offers a car rental facility for excursions. 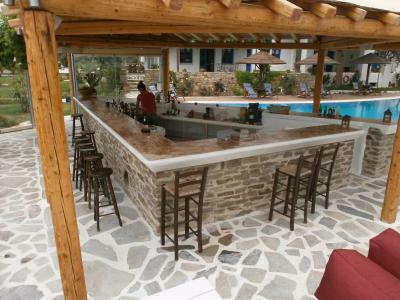 Return for excellent, homemade Mediterranean food at the restaurant and relax with a drink at the bar. 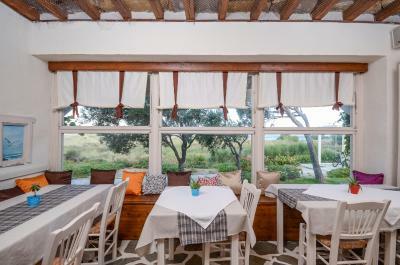 Close by you will find many beachfront cafés and bars. A sports club offers the opportunity to try water sports, including windsurfing lessons. 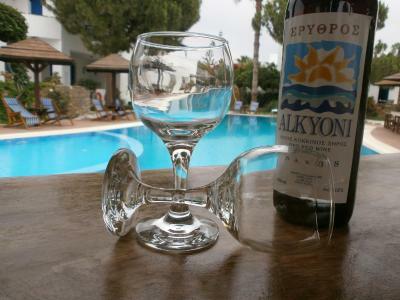 When would you like to stay at Alkyoni Beach Hotel? This room can accommodate 2 adults and 1 child up to 12 yrs of age. Located on the ground or on a floor, this air-conditioned room offers a satellite TV and private bathroom with free toiletries. 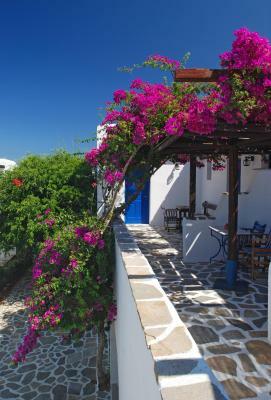 Overlooking the sea, this room is located on the ground or on a floor and has a satellite TV and a private bathroom with free toiletries. Overlooking the sea, this elegantly decorated, spacious room features beds and mattresses from Coco-Mat made of natural materials. The private bathroom comes with a bathtub. This elegantly decorated, spacious room features beds and mattresses from Coco-Mat made of natural materials. The private bathroom comes with a bathtub. Offers garden views. This type has capacity for 1 extra person in the sofa bed. Please note that 1 room type has a spa bath. Located on the ground floor, this superior room features 2 bedrooms with Coco-Mat beds and matresses, a bathroom with bathtub and an additional toilet. It opens to a balcony overlooking the garden. 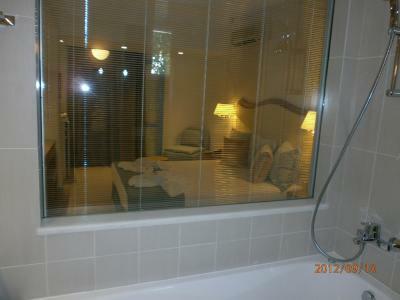 This suite has a double bed with Coco-Mat mattress and balcony with sea view with hot tub for 4 people. 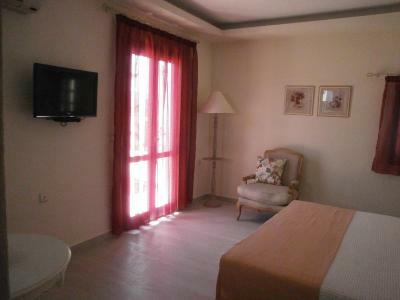 This elegantly decorated, spacious room opens to a furnished balcony with sea view. 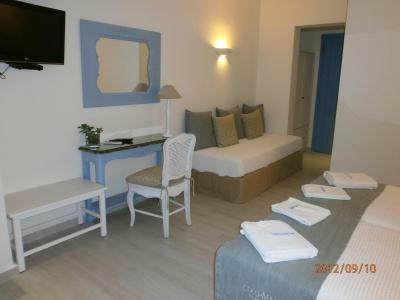 It is fitted with traditional beds and mattresses by Coco-Mat.The bathroom comes with bath tub. Overlooking the garden, this spacious room is fitted with traditional beds and Coco-Mat mattresses. The bathroom comes with bath tub. Please note that the rooms are located either on the ground or on one of the floors. 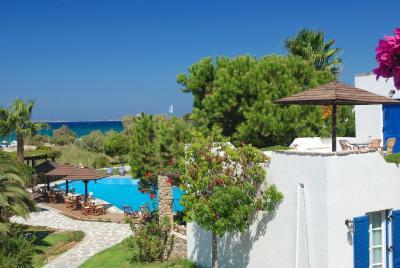 Spacious room with sea view and direct access to the swimming pool. It is fitted with Coco-Mat mattresses. The bathroom comes with bath tub. This suite has a balcony, satellite TV and tile/marble floor. Alkyoni was a a dream of life for our family. That's why we always try to improve our services and we take pleasant from the smiles of our guests and the nice comments as they leave the hotel. 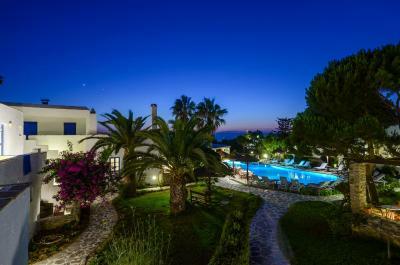 The prime location of the hotel on the sandy beach of Saint George at the end of the town in a quiet area but at the same time close to the center of the town of Naxos makes it an ideal resort for relaxation, sports and entertainment. 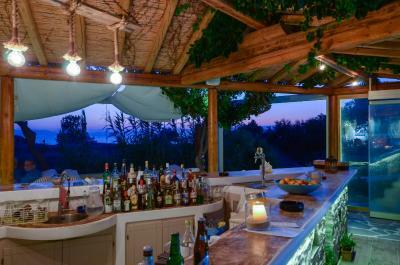 House Rules Alkyoni Beach Hotel takes special requests – add in the next step! 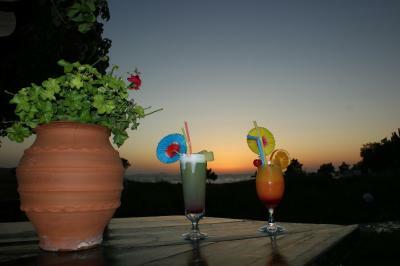 Alkyoni Beach Hotel accepts these cards and reserves the right to temporarily hold an amount prior to arrival. 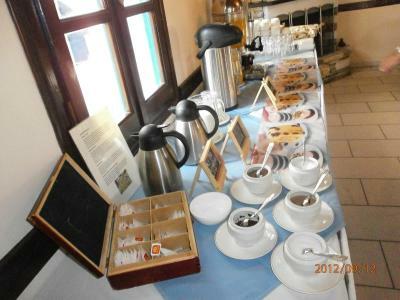 Kindly note that Alkyoni Beach Hotel participates in the Greek breakfast initiative by the Hellenic Chamber of Hotels. Location was amazing right on the beach and a nice walk into town. Staff were very friensly and helpful and made renting a car a very cheap and hassle free process! The beds are not comfortable at all. Ours sagged in the middle. The pillows were lumpy and hard. As a result, it was difficult to sleep; we constantly had to change positions in an effort to get comfortable. 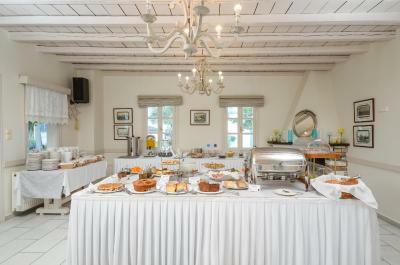 The food offered at the hotel restaurant is fine, but nothing to write home about. You’d be better off eating at one of the many tavernas in town. Should be able to charge food and drink from the restaurant and bar to your room. This did prove a bit difficult. 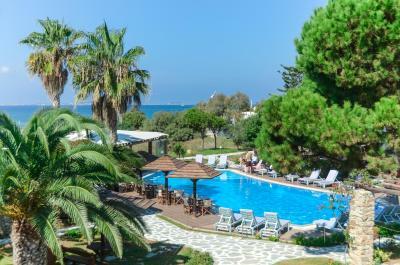 Beautiful pool area and closeness to beach. Variety for breakfast basic. Staff friendly and very helpful when we needed assistance. Good location, walking distance to everything. The breakfast was a bit poor. wi-fi was almost not working (maybe a temporary trouble during my stay). 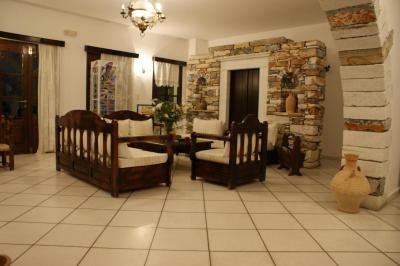 Super location, friendly staff chilled out atmosphere, would love a return visit. Aircon needed to be cleaned as it was quite dusty which caused my hayfever to come in full force. The location is great and room where fairly big. Bathroom, had only hand held showerhead. 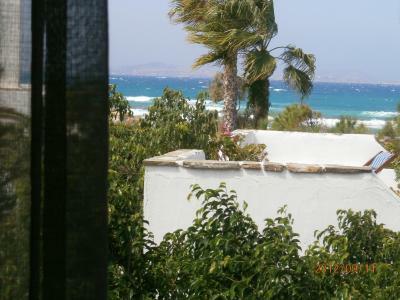 Great location, 10-15 mins walk to town, 2 min walk to great beach & restaurants. There were ants in the room and some that were on the bed... think we got them all out, but was disturbing, regardless and did put a bit of a damper on the stay.